One of the important decisions you will need to make when you buy a property is whether you should buy an established home or something ‘off the plan’. As the demand for property grows, there is an increasing number of residential unit title developments springing up around the country, with many more developments on the drawing board. Residential unit title developments are typically apartment blocks, townhouses and suburban flats. A unit title is a form of multi-unit property ownership, with the unit title owner owning a defined part of a building or development, such as an apartment or unit, and may also have shared ownership of common areas. Collectively the unit title owners of a development make up the body corporate. This is a management structure designed to ensure decisions affecting the development can be made jointly by the owners. Currently, the main New Zealand legislation that governs this form of management structure is the Unit Titles Act 2010. The explicit purpose of the New Zealand Unit Titles Act 2010 is to provide a legal framework for the joint ownership and management of land, buildings and facilities on a socially and economically sustainable basis by communities of individual owners. If you’re purchasing a unit title property, it’s important to ensure you understand exactly to what you’re committing yourself, so get your Quay Law unit title lawyer to carefully work through the documentation relevant to your unit title property purchase with you. Often in the case of these types of property developments, the developer must first secure a certain number of pre-sales before the banks will fund the development and approve mortgage lending for it. It’s for this reason that off-the-plan sales take place ahead of any actual construction starting. While the excitement of being the first person to live in the home and the flexibility to choose your floor plan and colour schemes may make buying off the plan an appealing option, there are some things to be aware of if you intend to do so. The key is to do your research thoroughly before you hand over your deposit and check everything carefully with your unit title lawyer at Auckland Law Firm, Quay Law. Locked-in price. One of the advantages of purchasing a unit title property off the plan is that you’re paying the current market price for a property, even though it will be completed in the future. If the market experiences growth, then the property you purchase off the plan today may increase in value when you finally settle. Low initial capital outlay. Buying off the plan enables you to secure a high-value asset for a low initial capital outlay. While you’re required to secure the property with a deposit, usually 10%, the entire payment doesn’t need to be paid until the property has been built and signed off. This gives you time to organise your finances. Falling property market and/or rising interest rates. There is always a risk that the property market falls between the time you sign the contract and the building is completed, which may cause problems when you try to get financing for the full purchase amount. Also, interest rates could increase before you settle on the property, which could create a problem if you were banking on fixing the term of the loan at the current interest rate. Failed expectations. Purchasing a unit title property off the plan means you don’t get to see what you’ve actually bought until the project is built. So, there is always the risk that what you envision is not what you will receive. Developer goes bust. It’s always possible the developer could go into liquidation before they complete the project. You’re backing them to complete the project, so do your research by inspecting other projects they’ve done and making sure they have a good reputation and are in good financial standing. Ultimately, any purchase of an off-the-plan property involves some level of risk which you need to weigh up against the potential return. However, you can mitigate the risk to some degree by ensuring you negotiate a detailed and thorough contract that protects your interests and minimises any unknowns. 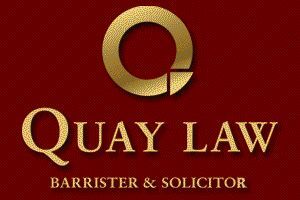 And don’t forget to have your Quay Law unit title lawyer carefully review your contract! Looking for a conveyancing lawyer in Auckland? Ensure that your contract contains a clause dealing with the deposit, specifically who will hold your deposit and what will happen to the accrued interest. It’s important that the deposit be held by a third-party stakeholder (either the estate agent or the vendor’s solicitor) until settlement. This is particularly important to prevent the developer disbursing the funds early in the development. Many off-the-plan projects are delayed beyond the anticipated completion date. It’s therefore important to include a ‘sunset clause’ in your property contract, specifying a completion date and permitting you to rescind the contract if the off-the-plan development runs more than a set period over the expected completion time. Sometimes the dimensions and area of a finished unit-title property will vary slightly from the initial plans and specifications. While a developer does have the right to make some changes or variations to the plans, they can only do so as long as they don’t materially prejudice the buyer. Usually, the contract will allow for a specific tolerance percentage, which you should try to keep as low as possible. Therefore, ensure your contract contains a clause that gives you the right to cancel the contract and get your deposit back if the variance is greater than say 5% or 10%. The clause should also set out a specific pro rata increase/decrease in the purchase price if the dimensions are slightly more/less than in the initial specifications. Include a specific settlement date in the contract, for example, 10 working days after the issue of the title or the code of compliance certificate or the certificate of practical completion, whichever is the later. Obviously, your contract should contain all the necessary construction clauses for the building of the apartment. Discuss your expectations for the property with your developer and have them written into the contract to avoid disagreement with the developer at the completion of the project. One way to avoid disappointment down the track is to make sure the contract includes a comprehensive and detailed list of inclusions, including how defects will be dealt with. You could also consider including a penalty type clause if the completion of the apartment is delayed (subject to the sunset clause mentioned above), although developers are usually reluctant to include such clauses. Make sure your contract includes a ‘solicitor’s approval’ clause. Whatever you do when purchasing a unit title property off the plan, always make sure you do your due diligence. Ensure you thoroughly investigate the body corporate – read all the rules and check that the annual fees are realistic to ensure they can cover the expected maintenance. And double and triple check your contract, ensuring your get good, independent legal advice from your Quay Law unit title lawyer. Visit our website to get in touch with our Auckland solicitors today.